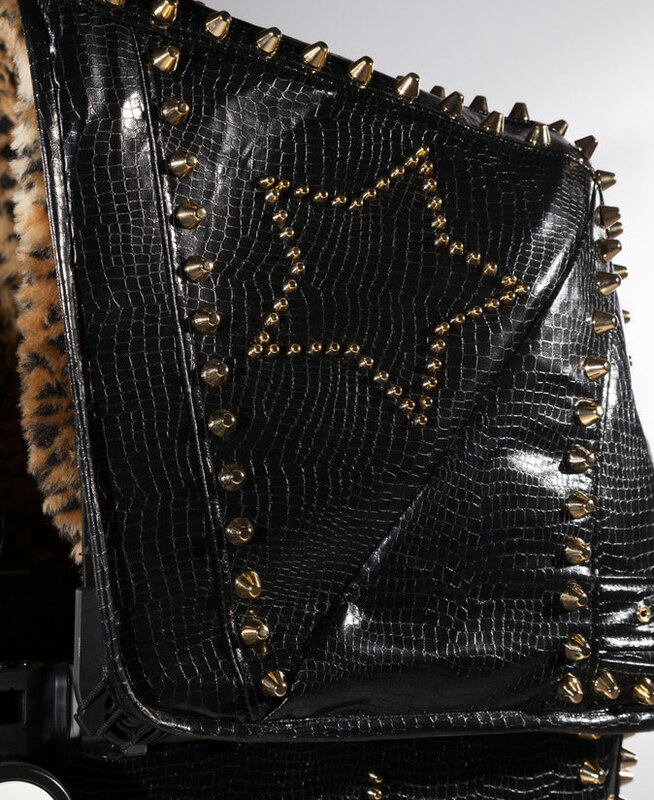 Combination of faux crocodile leather and leopard fur, together with numerous gold studs create the perfect atmosphere for your future rock star. 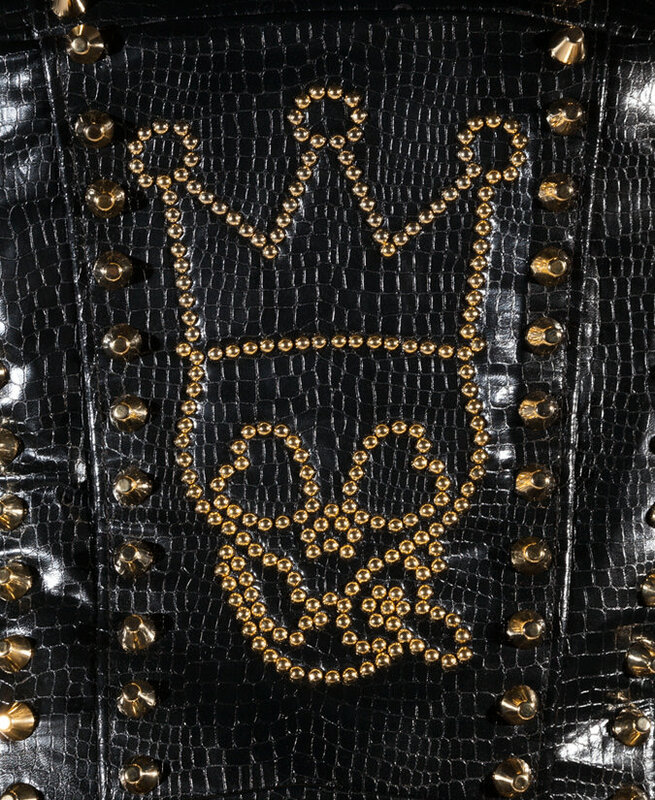 Skull logo with a pacifier adds a little playfulness. 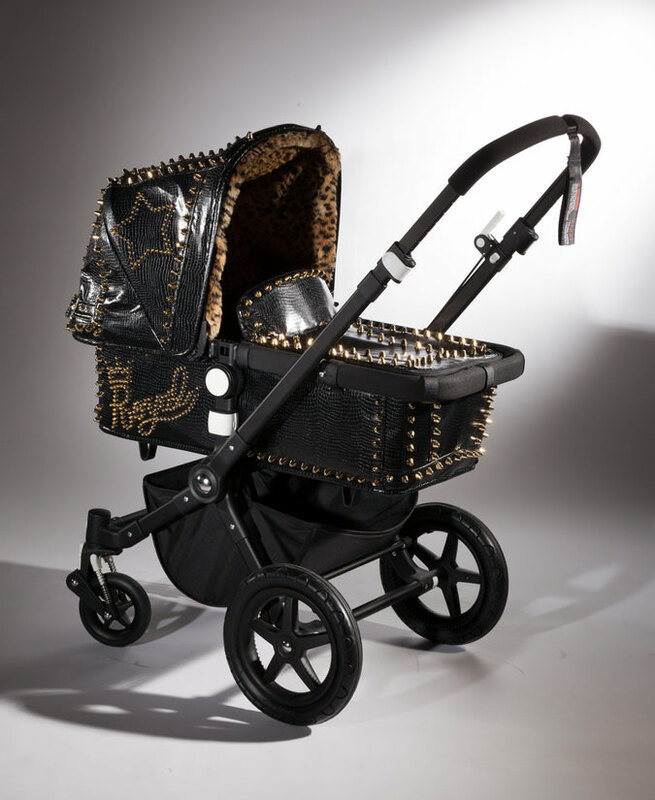 This ultimate rock n' roll stroller will never let anyone underestimate the power of Royal Babys. 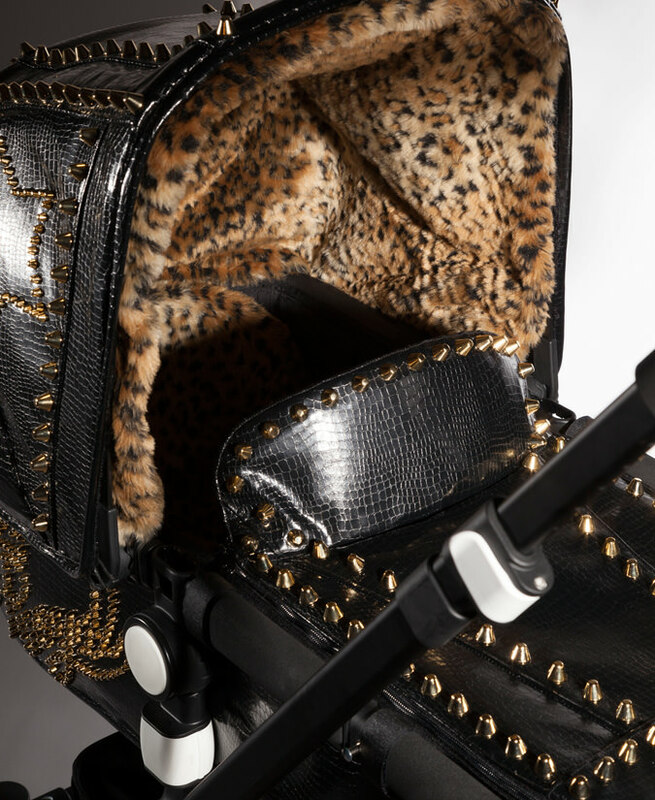 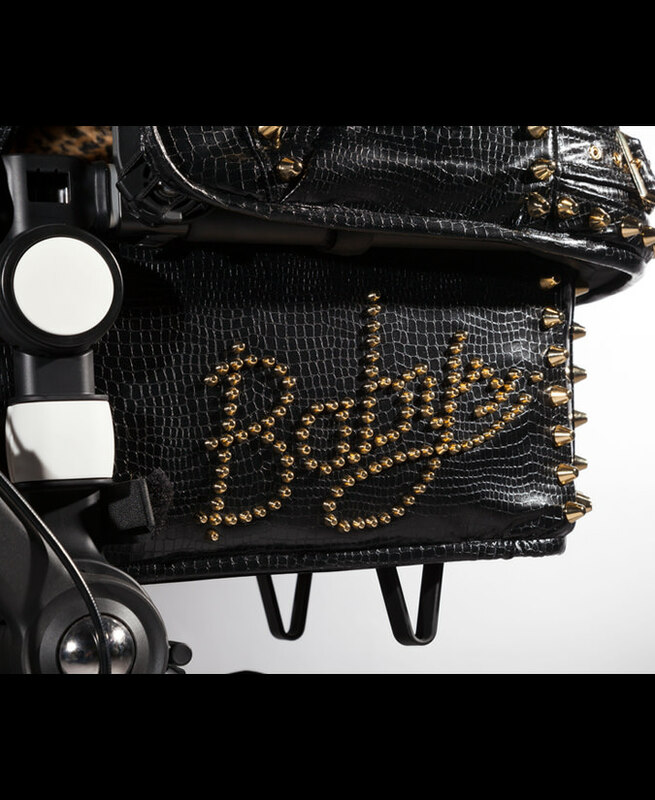 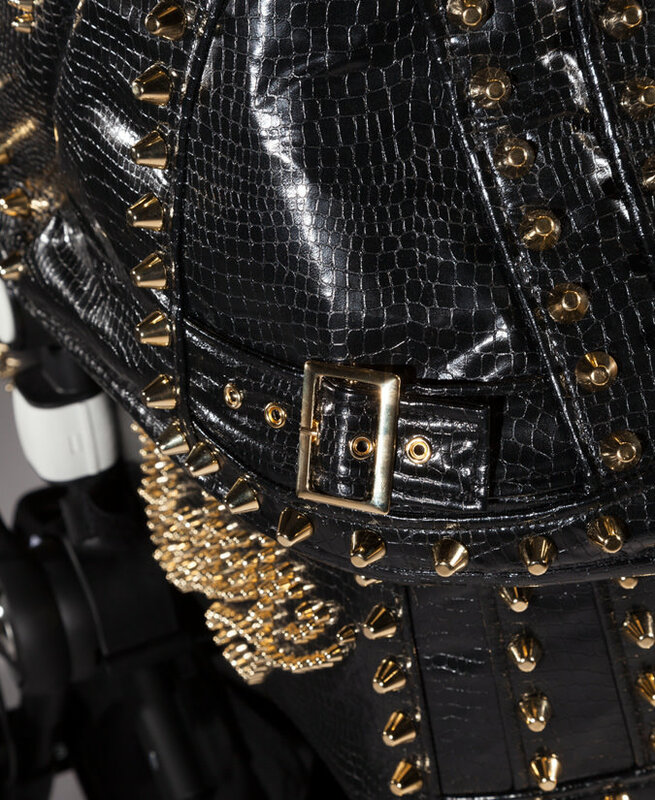 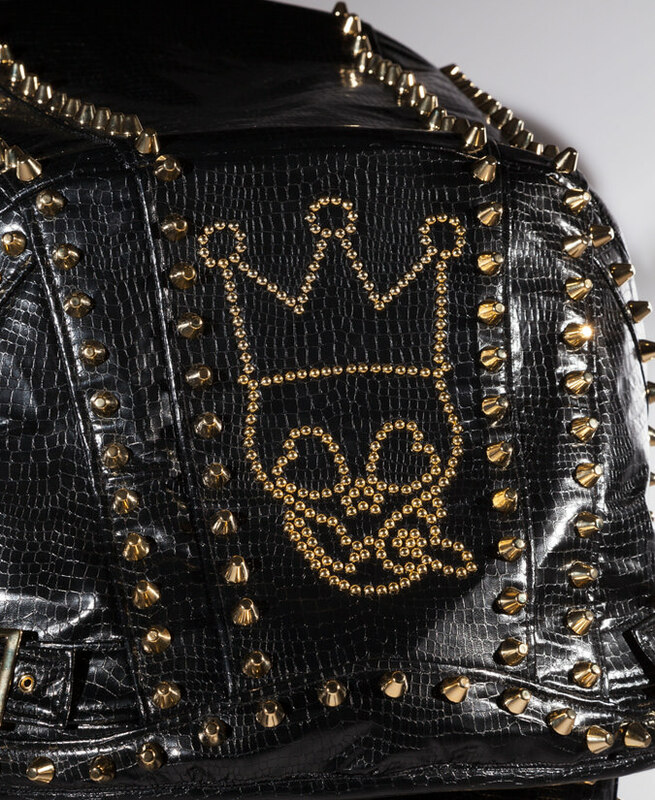 The outside surface is covered by glamorous faux crocodile leather, inside the hood is covered by detachable faux leopard fur and gold studs are carefully mounted on one by one by hand. 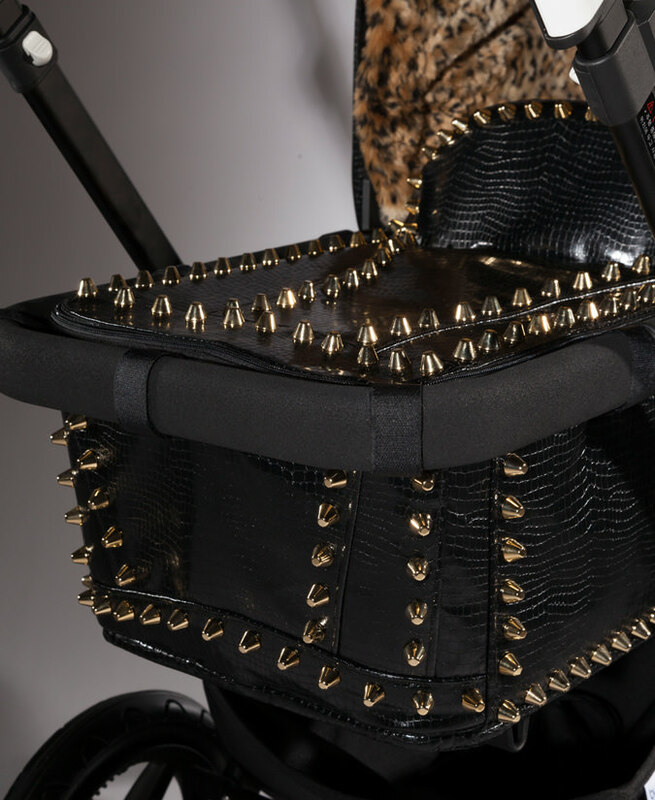 A perfect representation of playfulness and luxury. 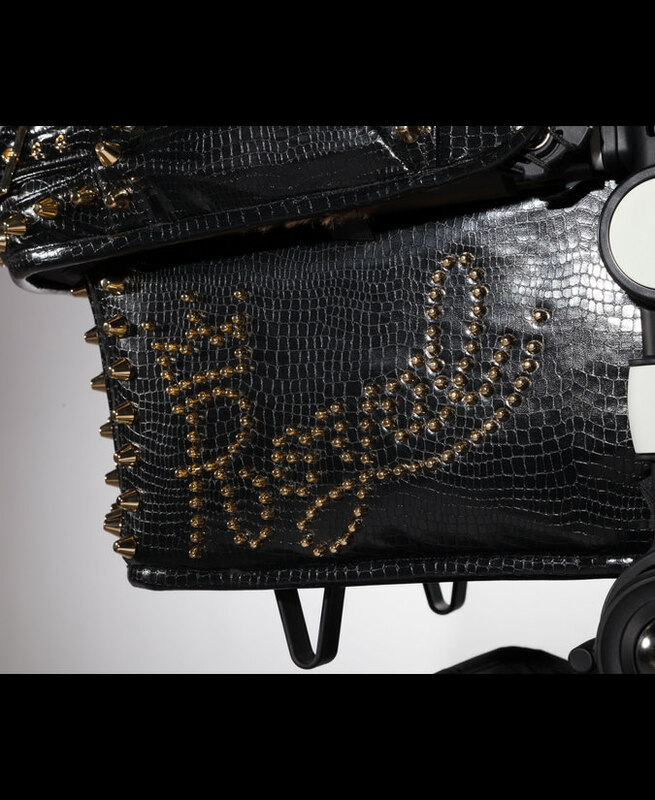 For order details, please email us using the contact form.